If you’re experiencing low back pain that shoots down one of your legs, odds are your sciatic nerve is pinched. 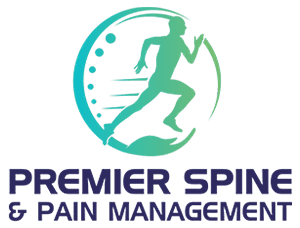 At Premier Spine & Pain Management, Vivek Das, MD, and Arun Kandra, MD, offer treatments that help put an end to sciatica pain, helping their patients throughout New Jersey and Pennsylvania move freely again. To explore your sciatica treatment options, call or set up an appointment using the online booking tool. The practice has locations in Easton, Pennsylvania, and Somerset, Hillsborough, Succasunna, and Middletown, New Jersey. Your sciatic nerve is the largest nerve in your body, starting in your low back and branching out to travel down each of your legs to your feet. Sciatica is brought on when a nerve is pinched in the lumbar spine in your low back, causing symptoms that can radiate down one side of your lower body. The hallmark of sciatica is pain or tingling that travels from your low back down one buttock and the back of one leg (it’s very rare that you feel the symptoms in both legs). 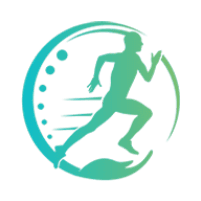 How far the pain, numbness, and tingling travel depends upon the extent of the nerve compression — in some cases, it may not go any farther than your buttock while, in others, it can travel the entire distance of your leg to your foot. The pain is often more intense when you’re seated, and it can also flare up when you try and stand up and walk. In other words, there’s rarely a comfortable position when you’re plagued by sciatica pain. In addition to the pain, tingling, and numbness, you may experience muscle weakness in your leg or foot. In extreme cases, you may have bladder control issues. Anything that pinches a nerve along your lumbar spine may lead to sciatica. If your symptoms resist treatment, your doctor may suggest a more aggressive solution, such as surgery to relieve the pressure on your nerve (a microdiscectomy or laminectomy). It’s relatively uncommon that the doctors need to treat sciatica surgically as they’re usually successful in finding you relief with more conservative treatments. If you’re dealing with sciatica, call Premier Spine & Pain Management or use the online scheduling tool to book an appointment.